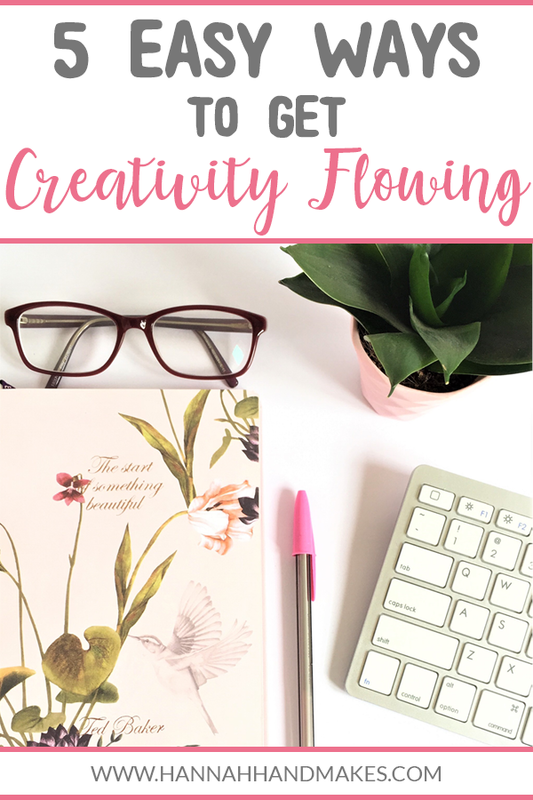 In this episode/blog post, I am sharing 5 easy ways you can get creativity flowing and they’re all things that can actually make us slightly bored or ie let our mind rest. 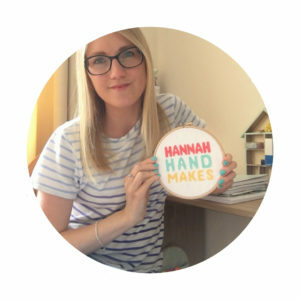 If you are new to cross stitch why not check out my brand new How to Cross Stitch Course for Beginners that’s launching 29.04.19? *Affiliate link, but I only ever recommend things I use or have bought myslef. This is of no extra cost to you, but I may earn a small commission if you purchase through this link. You know how people have the best ideas in the shower? I believe it’s because they’re bored! Unless you are like one of the ladies from the Welcome Home Podcast and take study notes into the shower with you. Totally something I would do. But anyway! It’s so easy to fill every secons of our time with stuff! And this stuff kills our creativity like nothing else. So I’m going to share 5 easy things you can practice every day and squeeze into your full life. And read until the end to find out what I really mean by getting bored. I’ll start with the easiest (not that this is always that easy) and that’s to go on a walk! Get outside, get some fresh air and try not to use the bad weather as an excuse (unless it’s dangeroud to be outside obviously). I know this can actually be hard sometimes, but I always feel the benfits of a good walk. I have a 2 year old and sometimes I will pop her in the pram and put a podcast on. But this is not always the best way to get creative juices flowing. Usually it has to be quiet (apart from the noises from nature and Annie chatting away). Whether you have kids or not though, a good 30 minute walk is so good for your mind and creativity. The hardest now; turn off your phone. Or at least keep off it. Have you ever checked your screen time usage? Mine is around 2hours 30mins a day. In the last 10 days I spent 5 hours on Safari, 9 hours on podcasts (I have a problem), 3 hours on Instagram, 3 hours on Facebook, 4 hours on Pinterest, 1 hours in photos, 3 hours in Whatsapp, 1 hours in messages and it goes on and on. Just adding these up is 29 hours! Well over a whole day spent on my phone every 10 days. I think I keep mine pretty low too. Maybe not. I will say 2 things though. 1, podcasts are usually on while I’m cleaning, I’m not really on my phone for them but it’s still 9 hours of noise. And 2, some of this will have been for work and a bit of creativity. I’m not saying that you can’t be creative and use a phone too. But consuming all of this content via our phones can hurt our creativity too. It’s all about being intentional. For example, use your phone to find inspiration on Instagram or Pinterest. Use it to share your creative ideas or words. Use it to find recipes or craft tutorials. Again, Pinterest is great for this. It’s one of the many reasons I love Pinterest – it’s one of the only apps on our phones that encourages us to get off the phone and try the things we see for ourselves. Also, because… introvert. Don’t use your phone to mindlessly stroll or get stuck down a digital rabbit hole. Of course this happens to us all and it’s not always a bad thing; sometimes we need it, but just check in to make sure it’s not happening everyday. One thing that I really dislike about phones is the expectation for an instant reply or some instant action – a like, share, pin etc. Anyone who knows me in real life will know I take, on average, 3 days to reply to a message. Some people will think this is rude but as I mentioned, I’m an introvert and replying to messages drains my energy as much as being in a room full of poeple does. So I skim messages and see if they need an instant reply or if I can come back to it later. Have a designated phone home and leave your phone there when you are at home and only check it every hour or so. I got this idea from Allie Casazza who I love and she is actually running a challenge this week which I know will have some phone usuage tips in so if you’re quick you can join in too. When you are watching TV, watch the adverts. Don’t instantly pick up your phone and start scrolling. Turn off your notifications so they don’t show up all the time. You can do this in each indivisual app. Have a switch off time. You can enforece this yourself or habe your phone do it. My phone shuts down at 11 pm (although I’m usually in bed then anyway) and won’t start back up until 7am. The only thing that wil come through are messages and phone calls. I could talk about phones forever! Not only does having a clean and clear space help het that creativity flowing, the actual act of doing it can help too. Similar to walking, I sometimes pop a podcast on when I’m cleaning, but most of the time I now use it as time to let my brain rest and I actually look forward to a good clean or de-clutter. Yes, you heard right – I actually enjoy cleaning! This is one for you mums in particalr but cleaning is an amazing excuse for some alone and quiet time if there’s someone around to watch the kids. Or just pop a film on for them while you are doing it. It’s a great way to esacpe if you’re prone to feeling guilty about alone time (which you totally shouldn’t, but I get it). And again, as an introvert I also use this time to recharge. And it’s just a bonus that those creative ideas surface as well. I’ve had many ideas and light bulb moments while scrubbing the shower or sorting through clutter. Probably my favourite way, and not really boredom but let me explain as I’ve often had creative ideas while sitting and stitching. I’ve spoke a little bit about this before but it’s the reason that I don’t say cross stitch is like meditation. Meditiation is great for quieting your thoughts but when I’m stitching or doing any sort of crafts I let my thoughts run wild, which is pretty much the opposite of meditation. I just love to let my mind wander and let all those creative ideas surface. And it doesn’t have to be a big complicated project you’re working on just some colouring in can help your mind rest. Daydreaming is what I actually mean when I talk about getting bored and letting your mind rest. Do you actually day dream anymore? Daydreaming is so benefical to allow creative thoughts to flow. Just let al those thouights happen and see what inspiration hits you! Here’s an example… I have to sit in my eldest’s room for a little bit before he falls asleep and I usually read but one night I was sat there and I couldn’t find my Kindle and my phone had died so I was just sat there day dreaming and the design idea for the Spring SAL hit me and I had to run downstairs and jot it down quickly before I lost it. And I had been working on this design for so long trying to get it right then it just hit me while I was sat on the floor of my 5 year olds bedroom, bored. “Note that this activity is the exact opposite of meditation. You are not trying to empty your mind, not trying to sit restfully without conscious thoughts. You’re seeking thoughts from the unconscious, and trying to tease them forward until you can latch onto them. An idea will sneak into your brain”. And I completely agree with her. This month’s cross stitch pattern is from Caterpillar Cross Stitch and is called Easter Blooms. It’s so cute and has a chick in the middle, says happy Easter around the chick and then there are some flowers around it all too. It currently costs £5.90 and on 14 count aida it measures around 6×8 inches.